It was the strongest typhoon in history to hit land, killing more than 10,000 people and destroying thousands upon thousands of homes. I was sent to Leyte, Samar, and Northern Cebu to bring relief goods, and during the last leg of my relief work, I ended up in Bogo, Cebu. As I sat at a local 7-11 drinking coffee trying to gain strength for the rest of the task at hand, I noticed 3 young girls sitting on the curb by the street. They were begging for food, so I purchased food for them and went outside to give it to them. They began to devour it so rapidly that I realized they were practically starving. 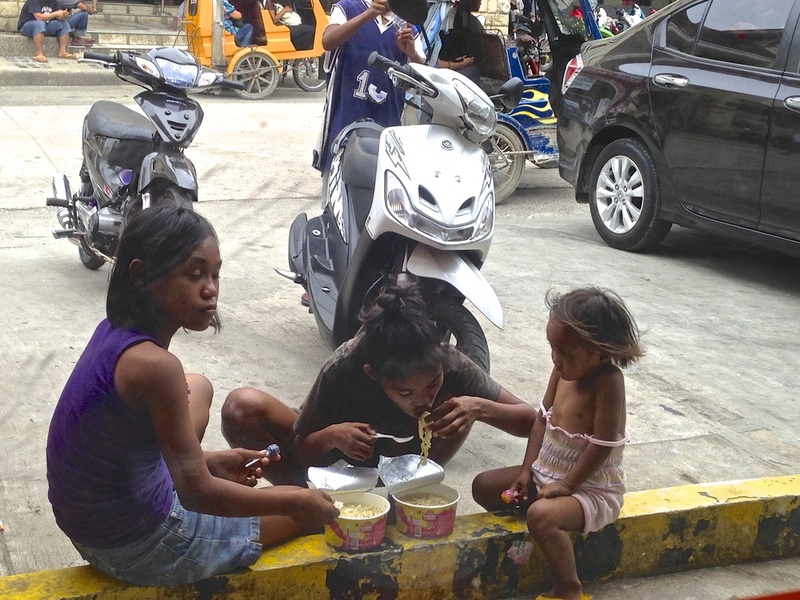 I took a picture of them, and as I sat there praying for them, I came to understand that God had sent me to Bogo for much more than relief work. I called another couple from our team to join me, and we spent time asking the girls questions and listening to their stories. As they shared their tragic tales, other street children gathered around us as well, and we began to see the great needs that existed in this town, and understood that someone had to do something about them. By the end of our time in Bogo, we realized that many of these young girls had already been sexually abused on the streets, and some had even been raped. One little 4-year-old boy had already been hit by a car, and during one conversation with the children; he climbed up into my lap and laid his lice-infested head on my chest. All I could do was hug him, and weep inside, as he fell asleep. It was clear that these children longed to be loved, valued, and protected. They wanted to have a home and a family like others, and they dreamed of one day being able to wake up everyday to go to school like other children. This experience was one of the reasons why we knew we had to begin Humanility. With fear in her eyes and on her dirt smudged face, she asked, "Do you promise" to help and protect us?" During my last evening in Bogo, I had to go to the bus station to take a bus back to Cebu city, and then fly to Manila. Many of the children followed me, and I told them about the home for street children that we had begun in Manila. I shared with them, that although I did not know how we could do it, as I didn’t have money, volunteers, staff, or anything at that time to make it a reality, that I would not give up until we could provide a home and protection for them as well. Just before I boarded the bus, Rolinda, a sweet little 8-year girl reached out and grabbed my hand. She stared at me intensely, and then asked; "Will you make a home for us here? Will you take care of us? Will you help us go to school?" In that moment, my heart was broken - I told her: "I promise you I will try my best", she looked up at me with hope in her eyes and asked “You promise?” Her little face haunted me for weeks. I couldn’t break my promise to her. Nick Conneff - Board Member and Bogo program director. The very day that I arrived back in Manila, EJ Pascua, the founder of our I Love Street Children Home was having a meeting of volunteers in Makati, and asked me to come share my experiences with the volunteers. As I related the story about Bogo, and Rolinda’s haunting question, Nick Conneff, a businessman from Manchester, England, was moved in his heart to do something. He postponed his flight back to England, and traveled to Bogo, Northern Cebu instead. He spent a few months there getting to know the street children, and he worked to find an administrator named Alehneh to take care of the girls. He funded all of this by himself, and when we registered Humanility as a tax-exempt nonprofit, Nick joined our international board of directors and also became our UK-Philippine Liaison. Humanility is not your typical nonprofit; we are driven by the value of Mutuality – shared vision, goals, love, and ownership. We believe that, as people volunteer and take ownership of Humanility projects, that social good synergy is produced and through the multiplication of talents, time, and finances, we can emancipate, educate, and empower more survivors of poverty, atrocity, tragedy, and slavery. 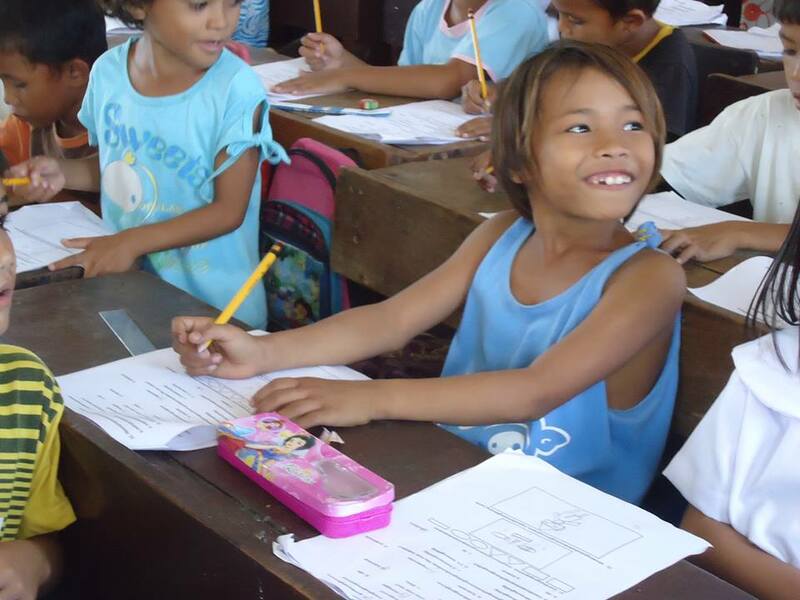 Fear turned to hope smiling through on the face of Rosalinda, now a schoolgirl who can write her own name! While in N.J. a few months ago, I met a man named George Lentini, who just happened to be heading to the Philippines for a month of business. He agreed to spend time in our ILSC home in Manila and in our CEPC in Cebu. While there, this month, he also added funds, encouragement, and additional operational wisdom to this project, while showing more love and compassion to the children. Through the hard work of these people, and especially of Alehneh, we were able to rent a house as a safe place for gatherings and we began to help the first group of children get enrolled in school. During the first week of school, we received this photo of a smiling Rolinda who just learned how to write her name for the first time in her life. The big smile and look of hope shining through on her face, so different from the look of fear months ago at the bus station, let us know that the purpose of Humanility is being fulfilled, and it all started and continues with U. Join the campaign to secure the future of the Bogo Street Kids. Make a donation to help the Bogo Street Kids.